Who is an excellent wife? What is she like? Using the woman in Proverbs 31 as a model, trusted Christian counselor Martha Peace offers detailed practical answers to questions most often asked by Christian wives. 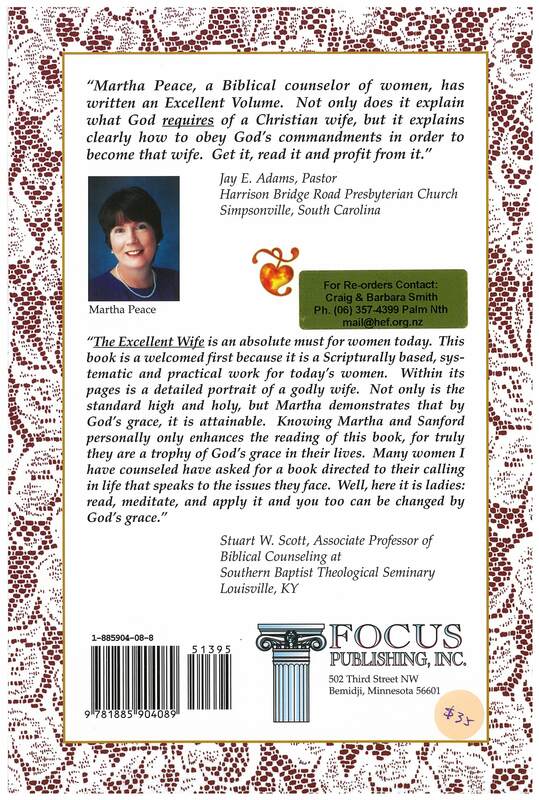 Her proven principles and scripturally based insights will encourage you to become the wife God wants you to be. 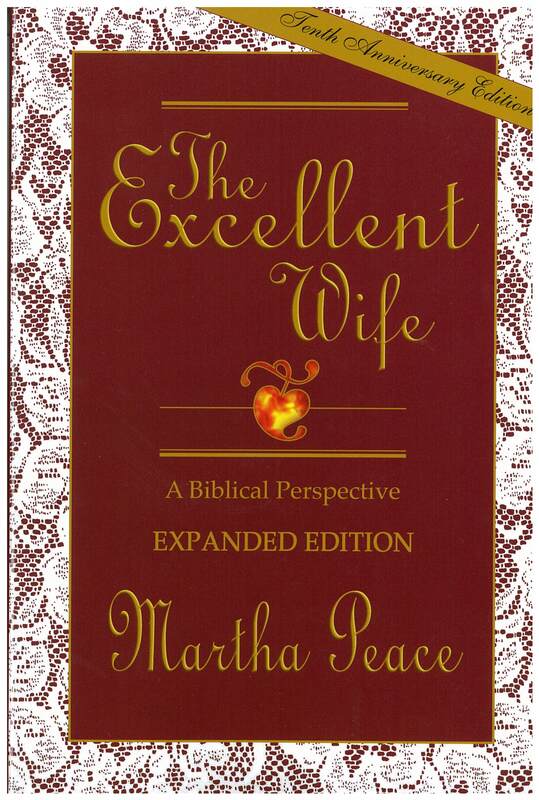 This is a must-read for every Christian wife. “The Excellent Wife” (10th Anniv. Ed.) contains a 48 page addendum that answers several questions received by Martha and additional counseling examples and applications. Included are the salvation worksheets she developed and a “Question and Answer” section and: “The Put Off, Put On Dynamic,” women’s role in the church, “The Biblical View of Authority,” “Examples of Not Answering a Fool According to His Folly,” “Loneliness,” “Eleven Misperceptions on Biblical Submission, and “Advice for Women Married to Unbelievers,” All this is in addition to the detailed, practical portrait of a godly wife of the entire original book. It is thoroughly biblical, very convicting, and clearly answers the tough questions others avoid. It is usable for individual study. This book is a systematic and practical work for today’s women. Within its pages is a detailed portrait of a Godly wife. Not only is the standard high and holy, but Martha Peace demonstrates that by God’s grace, it is attainable.